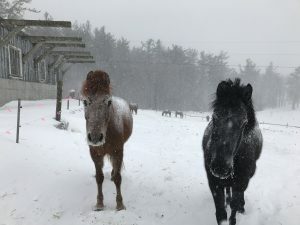 As the pressure began to change, the ponies ate a little extra hay and grain before the storm. Once the storm was upon us, the snow began to fall at a rapid pace and the wind began whipping the flakes around us, it certainly felt like a blizzard. 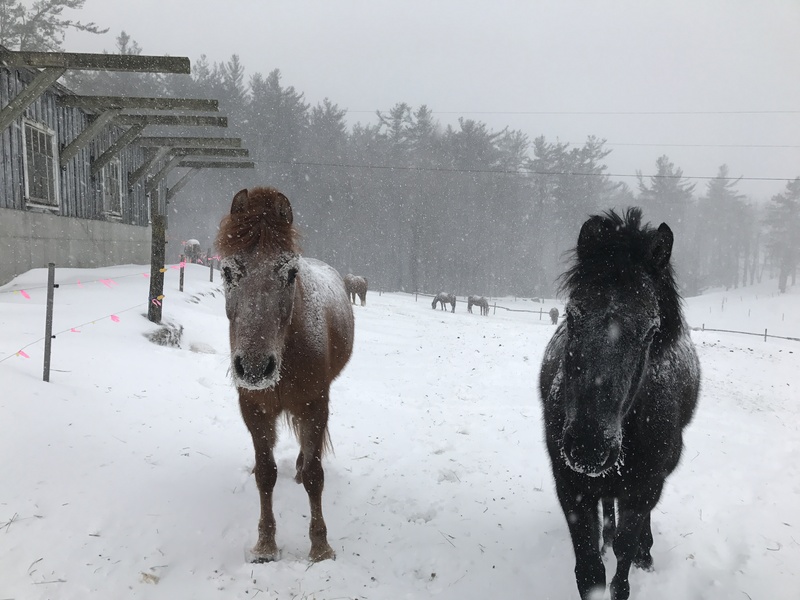 Watching the horses endure the cold, we were reminded of why we are a summer riding camp, these conditions were not good for any amount of horseback riding. Soon, there was a fresh blanket of snow and the horses were off frolicking with their friends. The snow was fluffy, the footing was great, and the horses were playing. It was a splendid afternoon. Watching the horses enjoy their freedom and play with their friends is by far our favorite pastime. We are only in existence now for the horses and the girls that come each year to love each of them. As we bundled up each time we stepped outside, and we were reminded of the ruggedness and durability of each of our spectacular horses.